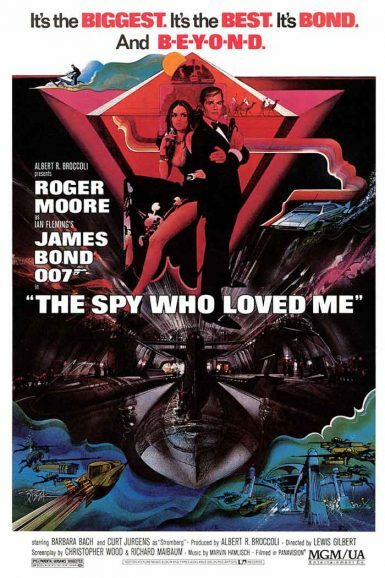 A megalomaniac with his eye on triggering World War III in order to create an underwater utopian world is capturing British and Soviet ballistic missile submarines, and MI6 special agent James Bond is tasked with stopping him, eventually joining forces with Russian agent Anya Amasova (Barbara Bach) in The Spy Who Loved Me. In what was the 10th Bond film in the enduring franchise, Spy may well be the most perfectly integrated of the series, combining a wonderfully devious baddy in Curt Jurgens’ Karl Stromberg and his silver toothed henchman “Jaws” (Richard Kiel), explosive action sequences that take 007 from the land, air and sea, with some of the most inventive gadgets in the series (including an underwater Lotus sports car), a plot that serves the hero, and the hauntingly romantic theme song nominated for an Academy Award – “Nobody Does It Better” by Carly Simon. This is Roger Moore in his prime, bringing Bond to life with his debonair charm, trademark humor, tough guy escapism and witty one liners. This is a spy we’ll always love. View a collection of lobby cards for The Spy Who Loved Me on the New Beverly forum. 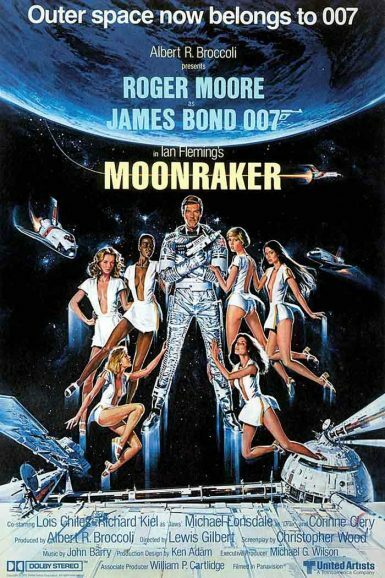 Roger Moore is back in Moonraker, hot on the vapor trail of Industrialist Hugo Drax (Michael Lonsdale), who has machinations to poison earth’s human population with nerve gas derived from a rare flower in the Amazon, and repopulate it in space with physically fit, beautiful, genetic human outliers. When the Moonraker space shuttle is hijacked in the film’s explosive pre-credit sequence, and Bond is getting thrown from a private jet by Jaws (Richard Kiel) without a parachute, you know you’re in for a thrill ride, and the Bond franchise delivers by raising the bar on its jaw dropping stunts. Lois Chiles is Holly Goodhead, a CIA agent who teams up with Bond to take down Drax on his space station. Toshiro Suga as “Chang” provides the loudest, and most entertaining hand to hand fight with 007 in the franchise, or at the very least, the one with most broken glass. The gadgets in Moonraker are inventively delightful and live up to the technical demands of the plot in this Bond film that is out of this world.